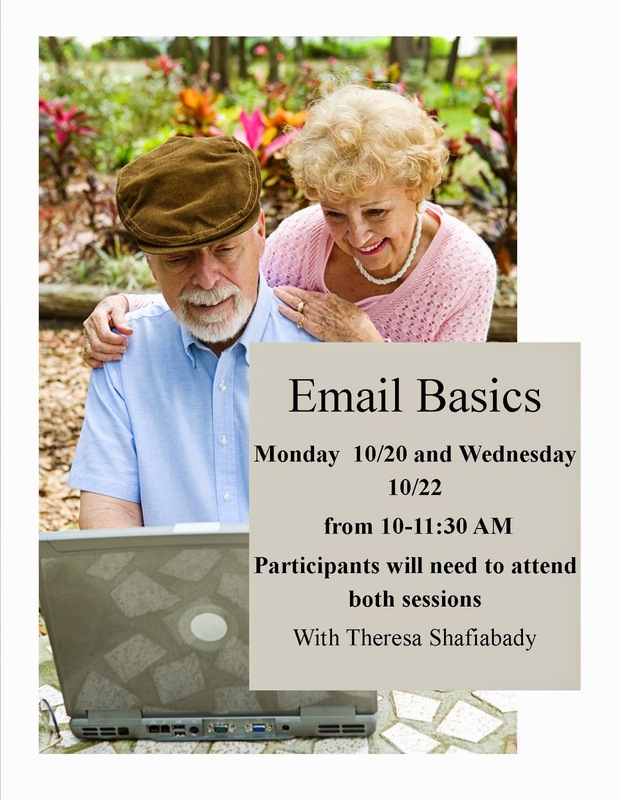 "Email Basics" will meet Monday 10/20 and Wednesday 10/22 from 10-11:30 AM. Participants need to attend both sessions. These classes will be taught by Theresa Shafiabady. Sign up today to learn exciting new ways to utilize your email account!